Maggie, a native of Choteau, Montana, grew up along the Rocky Mountain Front where her family has lived fore more than 100 years. 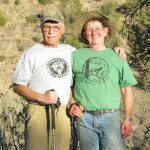 In her early years, she spent as much time as possible hiking, riding and exploring The Bob before graduating from Montana State University in Bozeman with a degree in Rangeland Management. 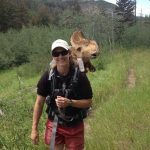 Since earning her degree, Maggie worked for the U.S. Forest Service, Nature Conservancy’s Pine Butte Guest Ranch, Teton Pass Ski Area and Mills Wilderness Adventures of Montana, with each furthering her love and passion for wild places and the great outdoors. It brings her great joy to share these places with others. In her free time, Maggie works her horses, reads, skis, plays with her pup and laughs at good (and bad) jokes.